Grace Chapel is a non-denominational church in Mason, OH. Having successfully facilitated the launch of numerous Biznistries of their own, Grace Chapel has established an innovative approach for how the modern church can have Kingdom impact in today’s world. 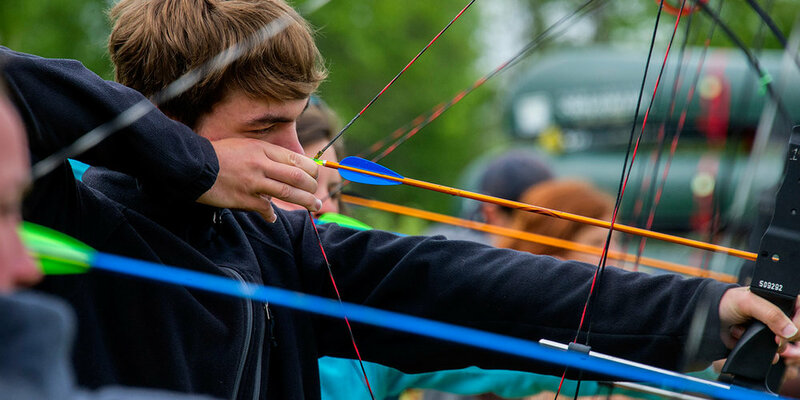 Grace Chapel Archery is the umbrella of all of Grace Chapel’s archery programs, which include: HisPins classes, Learn to Shoot Classes, Junior Olympic Archery Development (JOAD) team, Grace Chapel Archery Club, Teen Leadership Development, Archery Tag, and OnTarget corporate team-building workshops. ElementsPro gives their clients the absolute best in landscaping service by offering full landscaping design and construction, lawn care and maintenance, and snow removal. They also give back to their local and global communities by contributing a portion of their monthly revenue to Back2Back Ministries and SSE. Crossfit Superfly is dedicated to improving lives through fitness. With a community oriented and competitive atmosphere they can help you become stronger, faster, and ultimately healthier with a bonus side effect of an improved body composition. A portion of their profits are donated to things like fresh water wells and small business funding in the developing world through SSE. Nothing beats a great cup of gourmet coffee in the morning. Joseph's Cup is a local coffee bar with a mission to do "small things with great love". Located in Mason, Joseph's Cup serves it’s customers with delicious drinks and warm smiles. Trinity Salon and Spa was established July 15, 2014 in the heart of downtown Mason, Ohio and is co-owned by Ashley Hurly and Nichole Kimple. These two ladies share the same vision and goals for the atmosphere they wanted in the salon. Trinity is a Biznistry, commissioned for Kingdom purpose. All Together Lovely is an exceptional hair-care and cosmetics services and products store located in Mason. All Together Lovely offers premium quality beauty and hair care products, hair product education, as well as a full-scale eCommerce online store through their website. Specializing in relaxed hair, all-natural hair, wigs, weaves, extensions, cosmetics, hair accessories and tools used to enhance beauty.